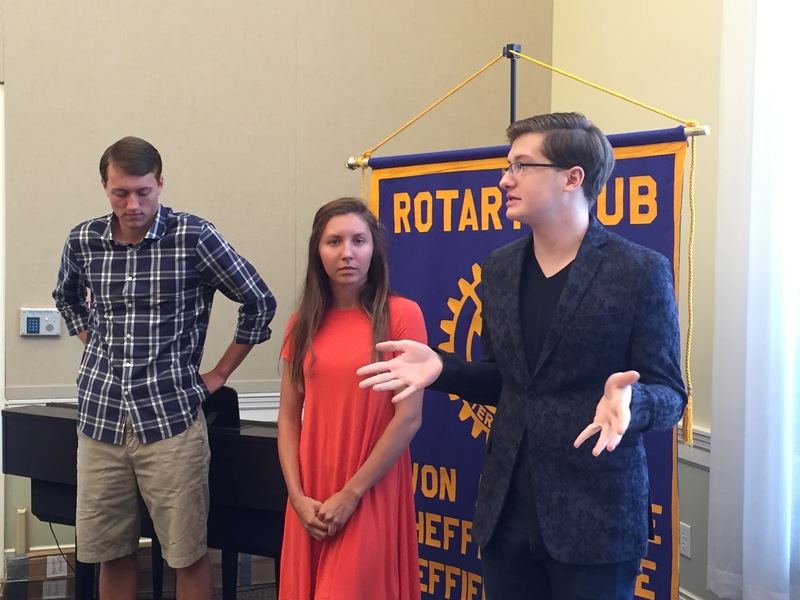 Three of our six Scholarship Winners joined our Rotary Club Meeting to describe their future plans. Hailey Acosta, winning the Jane Kuzman Memorial Scholarship at Avon High School will attend Otterbein College and major in nursing. Pierce Morgan, an Interact Scholarship winner from Brookside will attend Kent State University, majoring in fashion merchandising. Tyler Simons, Scholarship Winner from Avon Lake High School will attend The Ohio State University, majoring in engineering and French. Not pictured are the other three scholarship winners, Hannah Floyd and Chloe Hardman from BrooksideHigh School and Treasure Jenkins from Avon High School.